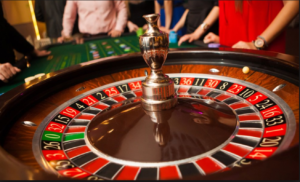 There are many betting systems you can employ when playing roulette, the majority of these based on betting on even money shots, such as red/black or odd/even. The single repeats (or single number) betting system takes a different approach, as you’ll be betting on single numbers. 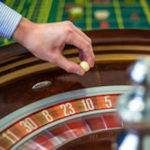 Is the Single Numbers Betting System the best roulette strategy for winning? Continue to read and come to your own conclusions. How Did the Single Repeats Strategy Come About? When playing roulette you expect, on average, each number to come up the same number of times. 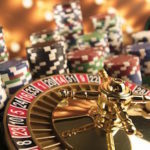 So if you were to play 37 games –assuming you are using a European roulette wheel– you might expect a particular number to come up once. However, in practice, 37 spins would yield a result where some numbers will come up once, some will come up more than once, and some won’t come up at all. In fact, the chance of all 37 numbers coming out in a row offers odds that run into 15 figures! Even 20 different numbers coming up in a row is almost impossible. In fact, by the eighth spin, you’ll have more than a fifty percent chance of hitting the same number twice. This roulette betting system tries to capitalize on this fact, by betting on numbers that have already come up. How Does the Single Numbers Roulette System Work? You’ll start this system by working out your unit stake. This stake should be a tiny proportion of your bankroll as the stake size will become bigger with each additional spin of the wheel. The first spin is one which you will sit out and simply record the winning number. For each roulette spin after this one, you’ll place a one unit bet on every number that comes up – if a number comes up twice, then you’ll bet two units on that number. Starting spin: The result of the first spin is 12. Starting bet: The second spin, therefore, sees you bet on 12. This spin sees the number 32 come in. Second bet: You’ll now place a bet on both 12 and 32. Continuing spins: Over the following seven spins, you see another seven different numbers land. Continuing bets: You’ll now be placing nine units on the nine previous numbers. If you win: The next spin sees 32 land for the second time and you enjoy a 35 unit win! After you win: The following spin will see you bet one unit on all of the numbers already hit. Apart from 32 –on which you’ll now place a bet of 2 units. Important: You’ll play this system for 37 spins in total. 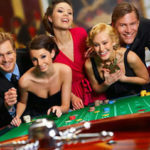 The main advantage of this roulette strategy is that it is very exciting. It offers the chance of bigger-than-usual wins. Especially if the same number does come up on several occasions within the 37 spins. Many other betting systems might offer you the opportunity of only ever winning one unit. This is most definitely not the case here! The other advantage could come if there is a faulty wheel which has developed something of a bias. This might mean that a number that has already hit might be more likely than it should be to hit again. In truth, this would very rarely be the case in this day and age as wheels are made to a very high standard and it would be surprising to find a faulty wheel. However, that isn’t to say that it’s not possible. The big problem with this system is if you don’t hit your number early. Consider if your first fifteen bets all fail, you’ll be 120 units down. Your next bet will be another 16 units. Remember you’ll only gain a return of 36 units if you actually hit at this stage. Therefore, the hole you are in is not going to disappear quickly. After just seven (betting) spins, you’ll have already laid out 28 units. This means a win on the eighth spin is breaking even, as you’ll then have staked exactly 36 chips and you’ll gain 36 chips back. Important: Winning early is key when betting using the single repeats system. When using the roulette repeating number strategy, you’ll need a large betting bank. The maximum amount you’ll need is 703 units if going all the way to the 37th spin. Tip: Check out our Roulette Bankroll page for advice on how to best manage your bankroll and staking plan. This system offers something different from many of the others. It has the chance of both big wins and big losses. This is most definitely not an option for the faint-hearted, as the longer the losing run goes on, the more desperate you’ll become. However, the joy of hitting the same number on numerous occasions offers the opposite range of emotions. 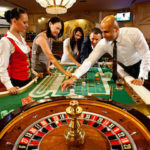 As with any betting system, you should consider that roulette has a house edge. Meaning that in the long run, the game cannot be beaten. Conclusion: There is no betting system that can be considered the best strategy, or that it will “guarantee” a profit.